Fords Vacu-Maid is located in Bountiful, Utah and also serves Salt Lake City, Brigham City, Tooele, Heber City and Ogden. We offer a complete line of versatile commercial vacuum systems, which can be used for a variety of applications. We also offer a range of residential vacuum units. 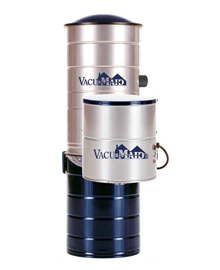 No matter what kind of central vacuum system you are looking for, Fords Vacu-Maid has a system to fit your needs. Whether you are looking for an easy maintenance unit, a quiet unit, or a system which will help reduce allergens and give you a cleaner environment (or all of the above) we have a vacuum system that will be right for you. Combined with our Vacu-Maid power unit, our tool kits and other related accessories will provide you with a superior clean from floor to ceiling. Our vacuum systems are true cyclonic units with no bags or filters. If you would prefer and bag and filtered unit, however, we also have those available. Our experts at Fords Vacu-Maid will find the right vacuum system to suit your needs. CALL 801-292-1543 today for More Information!